Oakley eyewear frames we carry in Westerville & Johnstown, OH are engineered to serve the demands of professional athletes. A critical degree of flexibility allows our frames to absorb impact. Comfort is optimized with lightweight materials, as well as our renowned Three-Point Fit that also maximizes optical performance. The Three-Point Fit system includes impact absorption for improved safety; optical alignment for sharp, accurate vision; and geometries that extend peripheral view. With an effortless style and a spirit of confidence, Chloé style fuses traditional femininity with masculine influences. Unique color combinations and palettes accentuate a collection of flattering shapes and delicate detailing to create classy and contemporary eyewear for the fashion-forward woman. Combining soft lines and oversized shapes in a variety of shades and volumes, the Chloé eyewear collection offers timeless elegance and authentic sophistication. The Juicy Couture eyewear collection seduces with an irresistible glamorous spirit. The playful details and sparkling shapes of the new models reflect the iconic appeal of the brand. After the success of the sunglasses, the optical frame collection is making its debut. A complete collection with a “very sweet” attitude, made up of iconic brand charms and “candy” colors, which are sure to appeal to youngsters. The large shapes with sophisticated details are sure to attract the attention of the most discerning fashion-conscious consumers…it’s love at first sight! Named one of 100 Things Worth Every Penny, Maui Jim is arguably the worlds best sunglasses. The sunglasses block 100% of the suns harmful UV rays. Their multi-layer, distortion free lenses keep the sun from glaring into your eyes while bringing the most vibrant colors to you. Polarized, Anti-Reflective, Scratch resistant and waterproof. For clients that require prescription lenses, Maui Jim offers their patented lenses in both single vision and progressive lens designs. 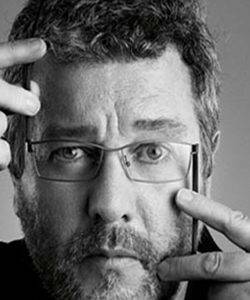 With Starck Eyes (Mikli, 1996), he created revolutionary, ergonomic, “bionic” reading glasses inspired by the joints of the human body. He emphasises, glasses are neither a fashion accessory nor a mere frill, they fulfill an obligatory function. The feeling of relaxed freedom, independence and easiness for all your senses are Silhouette’s inspiration for innovation and revolution. Each and every day is dedicated to the new and consistent intention to create the very best for spectacle wearers. Jimmy Choo, an icon of accessories, is positioned in the top end market with metal and acetate sunglasses collections. The innovative design emphasizes the distinctive Jimmy Choo style of bright colors and luxury décor. 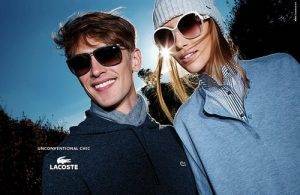 The new Jimmy Choo sunglasses and optical frames collection seduces with sophisticated silhouettes and luxury details. Flexon®—the original memory metal frame—was developed more than 20 years ago. Made from a titanium nickel alloy, Flexon frames not only weigh a fraction of similarly designed frames, but they can also withstand most accidental, day-to-day mishaps. The secret to Flexon’s success is the material’s amazing flexibility. The bridge on most styles can repeatedly twist up to 90 degrees without breaking. Likewise, wrap most Flexon temples around a finger and they will spring back into shape. For its debut collection, the heritage and identity of the DVF brand was interpreted in different styles and materials resulting in a range of eyewear that is both classic and modern. Iconic details like the DVF lips, the love knot, the power stone, and the wrap dress were beautifully translated, with bright colors and eclectic patterns playing an important role throughout the collection. Alain Mikli founded his eyewear company at the age of 23 with the mission to launch a new era in eyewear, “a time when vision needs would no longer be in conflict with style and the notion of glasses as prosthesis would forever disappear and be replaced with true ‘jewelry for the eyes’.” With this idea the invention of the profession of eyewear designer came to light, where innovation, design and creation make eyewear a form of art. Hand-made in France, the Alain Mikli eyewear collection features unique colors and shapes, and innovative technology including an ultra-light nose bridge and unique patented hinge technology, allowing the frames to bend and flex to the wearer’s facial curves. The result is fashion forward style, perfect fit and ultimate comfort. 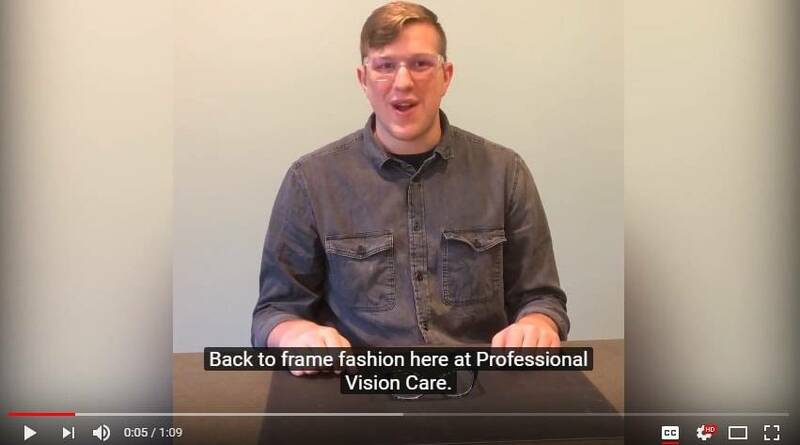 Made for a broad range of personality styles, including the sophisticated individual who knows how to have a good time, Alain Mikli is world-renowned for creating high-end luxury eyewear and for his dedication to helping support the blind and visually impaired through contributing to sight-related causes. Alain Mikli eyewear has it all – style, passion, quality, and comfort.